Based in Louisville, Kentucky, KFC Corporation is the franchisor of the world’s most popular chicken restaurant chain, specializing in Original Recipe®, Extra Crispy™, Kentucky Grilled Chicken® and Extra Crispy™ Tenders with home-style sides, Hot Wings™ pieces and freshly made chicken sandwiches. Famous for its Original Recipe® fried chicken, which is made with the same secret blend of 11 herbs & spices that Colonel Sanders perfected more than a half century ago, KFC has been serving customers complete, freshly prepared family meals since Colonel Harland Sanders founded the concept in 1952. 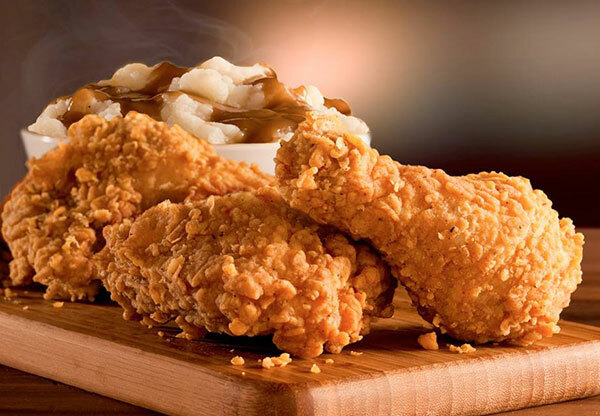 It is estimated that, on average, more than 185 million people see a KFC commercial at least once a week—that’s more than half the U.S. population. The KFC system serves more than 12 million customers each day in more than 115 countries and territories around the world. KFC operates more than 17,000 restaurants in the Unites States and internationally. KFC’s parent company is Yum! Brands, Inc., the world’s largest restaurant company in terms of system restaurants, with more than 40,000 locations in more than 130 countries and territories and employing more than one million associates. Yum! is ranked number 201 on the Fortune 500 list, with revenues exceeding $13 billion in 2012. Your Drive. Your Team. Our Brand. It can be a powerful combination! For more information on opening your own KFC franchise please fill out the form below. Looking for more information about KFC? Take a moment to fill out our quick information request form.